Good morning! I am so glad this week seems to be going by fast! I simply cannot wait for the weekend to be able to do some more Christmas decorating at my house! I simply must wrap some packages to get them out of my closet, but finding a way to keep my little one out of them is going to be the task! I am so honored that Unity is our sponsor over at Christian Paper Crafts this month! If you have not tried them out, I highly recommend them! The Unity Kit of the Month is something I just recently began receiving as a monthly treat from my husband. With so much going on in life, it is a nice little break in the day when I go home to see that yellow envelope filled with a brown bag of goodies has arrived! The Unity KOMs are not very expensive compared to many other "kit clubs" and is a great way to keep getting new goodies! Going to the store, I know I would be tempted to purchase so much more that I would never use! 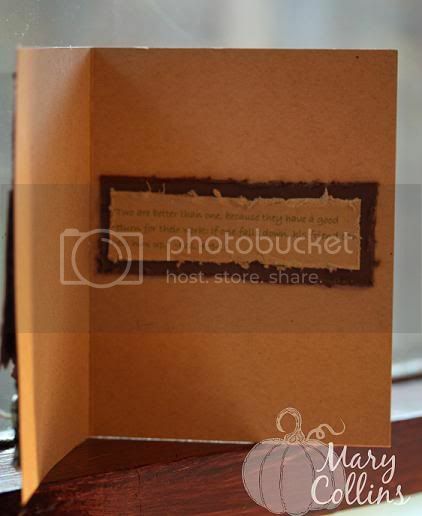 This first card is made From Simple Blessings - a stamp set the DT was given to use and create with! The first thing you probably notice about this card is - it's simple! The reason being, I have had many, many people tell me they would like to try crafting or card making but it is just too complex once they look at the creations of others. I like to gently remind people that God made us all just the way He wants us. He will continually mold us and shape us in everything we do, and that all paper-crafters had to start somewhere. It's nice to go back to simple cards every now and again! 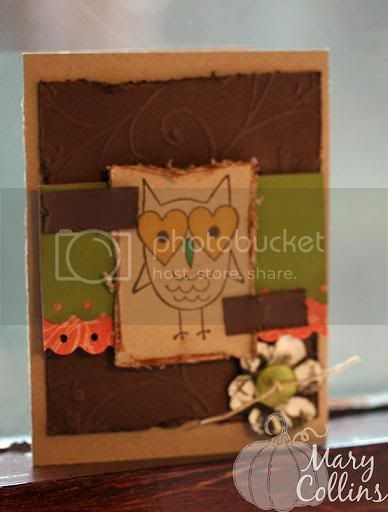 On this card I used some Brown paper from PTI as my cardstock base, some purple Post-It Craft paper (love this stuff), kraft cardstock, jute, button, and Close to My Heart inks! I did run the Post It Craft paper through my cuttlebug and distressed the edges. You know what - it did great! Now this little number is made from my Unity October Kit of the Month and you can still purchase it here. As soon as I saw this little sock-monkey appear on my screen during the time of preview for the Kit of the Month, I fell in love with him! Trust me, if I had time, there would be people on my Christmas list getting homemade sock monkeys just so I could make a gift tag out of this little guy :o) What I did though was something still along the line of socks, in that I altered a clear little paint tin ready to hold some new warm, fuzzy socks! It will be the packaging for my gift at our Ladies Auxiliary Christmas swap. You know - you always get invited to these parties where you are to take a x dollar amount gift. Sometimes it is so hard to find something, but I know the little fuzzy socks will meet the price and put a smile on someones face! Head on over to Christian Paper Crafts and see what all is being created with Unity this month. You can also find us in the SplitCoastStampers gallery keyword CPCUnityNov09. Have a wonderful day! Over on Facebook I've been taking part in a challenge to post something you are thankful for everyday and the more creative the better! Although I am sure everyone knows - I wanted to share one of the reasons I am most thankful! Meet Abby. This is my little one that I am so thankful to God for! She truly is the most wonderous gift that He has blessed us with and I feel so proud and honored to be her mommy! Hi Mary! What a lovely blog! I'm so glad to have found it! 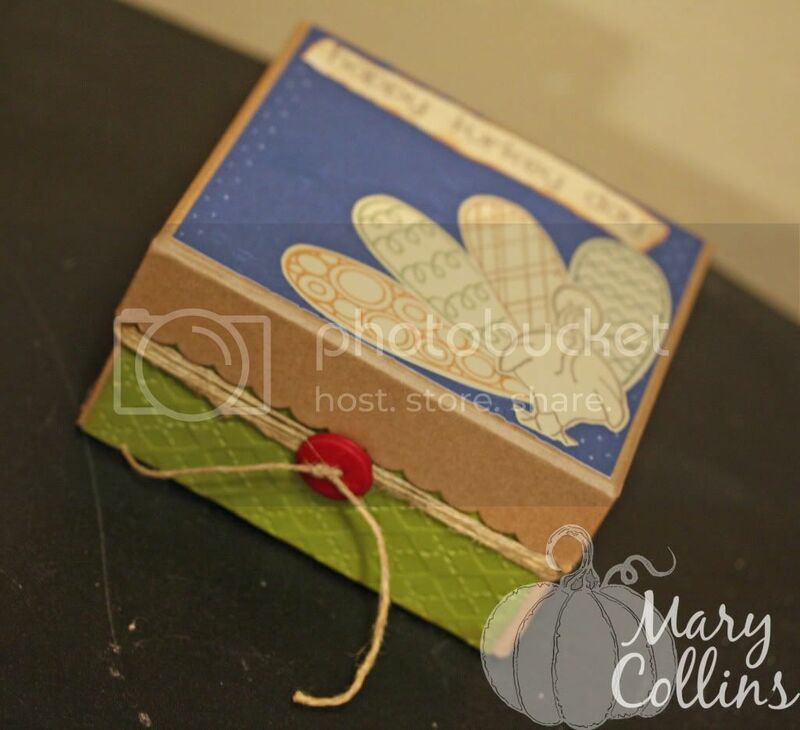 Love your projects for the FOF hop and this one! Love the Unity Stamps and most especially this set! So often we get swallowed up in Christmas... which is wonderful but it's important not to lose Thanksgiving.... a special time to thank God for all His many blessings! TFS! God bless! Grace, thanks for stopping by and thanks to random.org for selecting you as a winner! For the Unity hop, please scroll down to the next posting! Hello! I am so glad that you have found me on the hop! First, we would like to take a moment to thank our generous co-sponsors: Layers of Color Stamps, Gina K Designs Stamps and Sweet 'n Sassy Stamps. Together with Scrapbook News and Review Magazine, these companies have donated some wonderful prizes for today's blog hop. Prizes? Oh, yeah! There will be three lucky grand prize winners for today's event. games@scrapbooknewsandreview.com listing each of the staff members who participated in today's hop. It's that easy. All entries must be received by Monday, November 16, 2009 at 12 noon, EST and three winners will be randomly chosen to win. One $100 gift certificate from Layers of Color Stamps AND a 6 month subscription to Scrapbook News and Review Magazine. 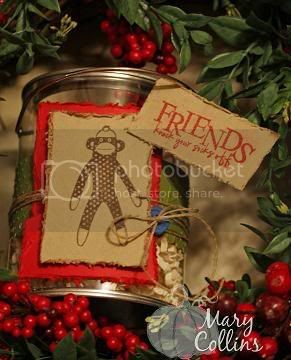 One basket of goodies -- four stamp sets from Gina K Designs and a 6 month subscription to Scrapbook News and Review Magazine. 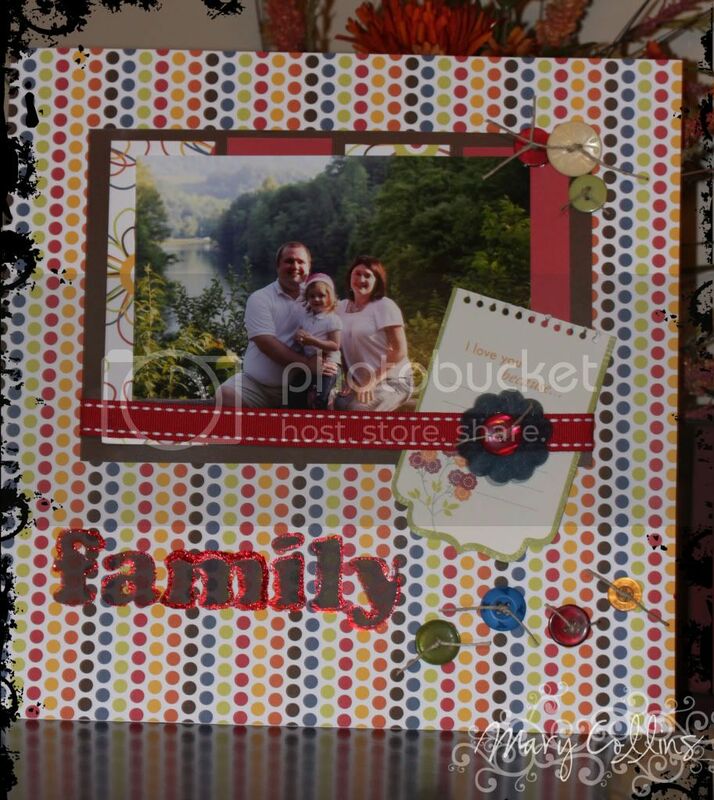 One set of digital stamps from Sweet 'n Sassy Stamps and a 3 month subscription to Scrapbook News and Review Magazine. In addition, every participating staff member of Scrapbook News and Review Magazine will offer a free one-month subscription to the magazine to one of their lucky visitors by simply leaving a comment on their blog. That's a lot of chances to win, so let's get to the Hop! Keeping with the theme for the Christian Paper Crafts blog hop, I decided to use a stamp from the Unity Kit of the Month! As you can see, I decided to use the verse for the sentiment inside my card! This card also follows this weeks sketch over at 2Sketches4You, as well as being the verse for Scripture Saturday here at my blog and over at Christian Paper Crafts! I hope you like it. Later on in the hop, you will come to my Picked With Love devotional blog where you will see another card made with this same stamp set! I hope you are enjoying your weekend. 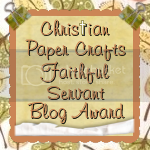 With two of the most awesome blog hops going on, how could you not :o) Don't forget to scroll on down for the Christian Paper Crafts and Unity hop! Hello everyone! 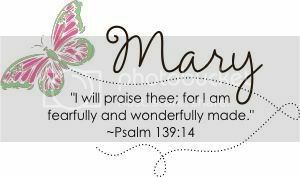 I hope that you are having a wonderfully blessed Friday the 13th! No superstition here, could it be a bad day when you are playing along with Unity and Christian Paper Crafts? This month Unity Stamps is our awesome sponsor over at Christian Paper Crafts and I am so delighted that you are joining us on our very first blog hop! The sets I have to show off to you today are Simple Blessings and Build a Turkey. I hope you enjoy! Please remember to check back here at my blog (as well as the rest of the design team), over at SCS on the Unity Board, and of course at Christian Paper Crafts throughout the month for many, many more ideas with these wonderful sets! 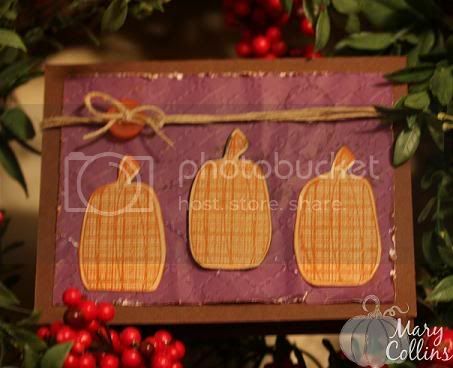 This card was made with various "scraps" of paper I had lying around, and of course the Simple Blessings stamp set! This is quickly becoming of my favorite stamps sets ever! I love the pumpkins and let me tell you, the size will NOT disappoint you! Well worth the price! I loved adding the little buttons in along with the pearls. I reminded my husband it is because Jesus Loves Me just the way I am - unique! 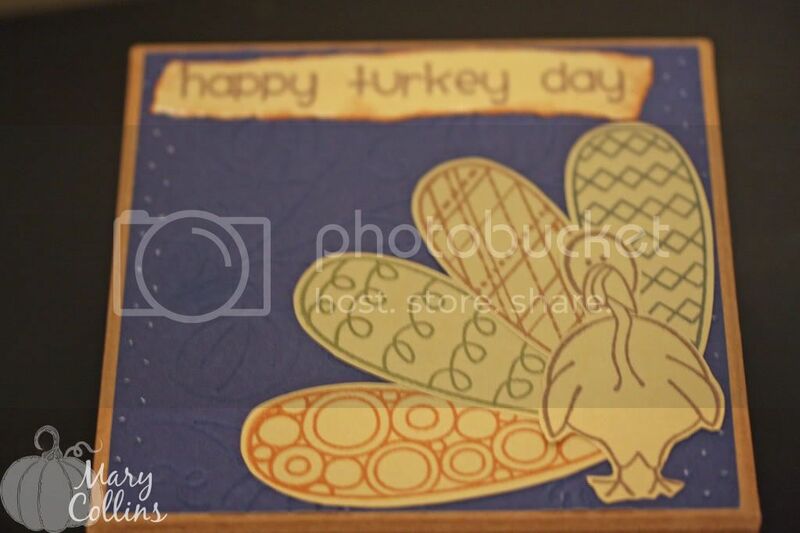 This project used the wonderful Build a Turkey Stamp set and it was so much fun to create! What is it? 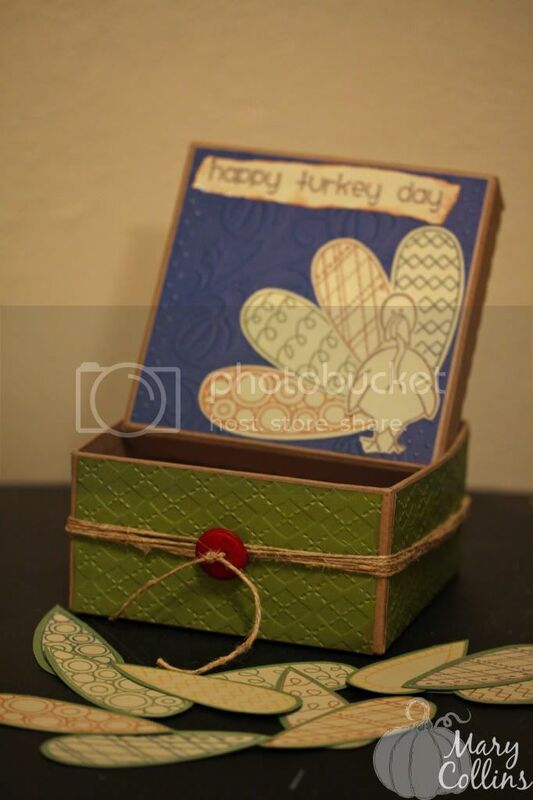 - You might be asking... Well, it is none other than a conversation starter box for Thanksgiving! On each of the little "Turkey feathers" inside, there is a conversation starter question on the back, such as "Do you read the Bible?" or "Name 5 songs you know the lyrics to?" This could easily be a project that you include the younger members of the family in making and everyone gets to enjoy it! Another idea would be to make a "Blessing Box" for everyone to write what they are thankful for down, place inside, and look at it the next year! Now for the prizes - There are 6 of us participating in the blog hop, so that equals 6 chances to win! There is one catch - each blog must have a minimum of 10 posts before it is eligible to hand out a prize. 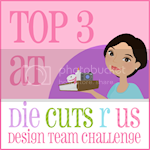 Christian Paper Crafts and Unity DT members are not eligible to win and our posts do not count toward the original 10 needed to give a prize! And what might those prizes be, why of course, it is a stamp set from Unity! The comments will close at midnight on Sunday and the winners will be announced on Monday morning on the individual blogs! A very special thank you to Unity Stamp Company and of course to you for stopping by! You have made my day! If you have come to me from Cindy's page, then it is time to hop on over to Natalie at Delightful Details. If not, please click over to Cindy's page and check out her wonderful creations! 4. Angella Crockett, Mind, Body, Spirit, and Stamps! Printing on the 12x12 paper! Shortly after the big digi scrapping wave hit, my hubby bought me a Canon printer for some holiday that I can't remember now and told me that if I really got into it, we would sell this one and get the more pricey version. I am sure glad he did not buy that other one to begin with. I have had this printer for YEARS now and have only used it about 5 times 0 if that... So, the other day when I was looking for lettering for this page and nothing on the Cricut was jumping out at me, I decided to start it up and giv it a try :o) I liked how it turned out, but decided to add some stickles around the lettering to really make it P-O-P!